Reverend Clifford Hamilton is originally from the Clearfield PA area. He graduated Clearfield Area High School in 1964. He moved to Springfield, Missouri to attend Central Bible College. While there he married Patty Pence in 1967, a student at Valley Forge College. In 1969, a lot of changes were in store for he and Patty. He graduated from CBC, and his wife gave birth to their son, Keith. The new family then moved to Wilkensburg to fill a post as assistant pastor at the Wilkensurg AG church. The next year, in 1970, he became the pastor of Faith Assembly of God in Hazleton, PA. While ministering there, their second child Trisha was born in 1973. Over the next few years he went on to pastor at the Beaver AG church as well as the Albion AG church. Then an opportunity to pastor a home missions church in Erie PA, up in 1982, at the then Neighborhood AG. The family moved once more to Harborcreek. The Neighborhood AG church had a name and location change to East Erie Assembly of God on Saltsman Rd in Harborcreek. He continued his education at Gannon University and received his Masters in Counseling Psychology in 1996. 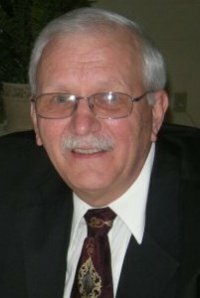 We have been blessed to have him as pastor of East Erie Assembly of God since 1982.